As a business owner, your identity is valuable. It defines who you are as a person and has a direct link to the management of your finances. Bank accounts, loans and credit cards all require information which is unique to you as an individual. Many criminals launch phishing attacks to get this sensitive information. If successful, they can use this data to steal your identity or someone else in your company. Every company should be conscious of identity theft and make an effort to implement strategies to reduce the risk of it occurring. There are steps you can take to protect everyone on your team, and get the right support if an incident does occur. Using an identity theft protection service will go a long way in keeping your information safe from criminals. This technology can track fraudulent activity and flag any changes to your credit. 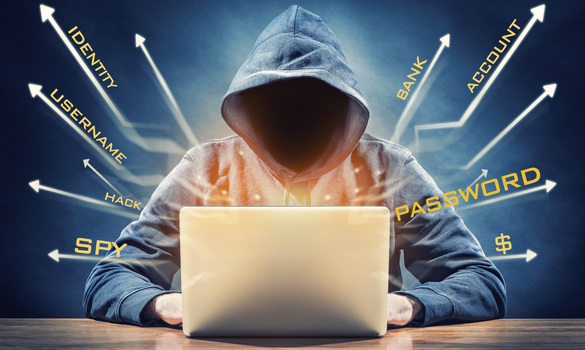 Your Social Security details and any personal information put online can be monitored, even when it is submitted to dark web criminal networks. By investing in protection, you will be alerted quickly to any unusual activity, which will give you the opportunity to act promptly before too much damage can be done. This can give you peace of mind that your personal profile and passwords are as secure as possible. When you take care to protect yourself and your team, the risk of theft can be greatly reduced. That being said, no one can guarantee it will never happen. In the unfortunate event that your details have been used for the wrong purposes, an ID restoration plan, which is included in most comprehensive identity theft protection plans, could save you both time and money. This works as an insurance policy to help you restore your identity and cover any legal fees. Prevention may be better than cure, but this added layer of protection will be there if you ever need it. Combining monitoring and restoration in one package will give you optimal protection. When you pair the above security measures with common sense it can help to keep your identity secure online. Companies should consider implementing policies for social media security, website and email use for everyone in the workplace. It can even be beneficial to have training and education programs based on cyber security. Changing passwords regularly, shredding important documents, and being cautious about disclosing personal information is just the beginning. There are always new strategies for companies to protect employee identities. Employees should learn the proper ways to manage and protect sensitive data. Especially when an employee leaves, you need to keep company data safe. This could include business information, customer data or employee details. From the frontline to the CEO office, educating employees about identity theft could prevent them from becoming victims of this crime. Identity theft is not uncommon, and it can have devastating consequences for its victims. Fortunately, technology is one step ahead, creating innovative ways to keep you safe. Protecting your team involves keeping all your information private and implementing strategies to monitor any unusual activity. Technology can play a vital role in tracking your accounts and financial activity, which will assist you in combating potential hackers. If you are subjected to wrongdoing, identity theft protection can help you to be sure that you have the best chance of restoring your data in a timely manner. Whether you are at home or in the workplace, protecting yourself and your people doesn’t have to be difficult.